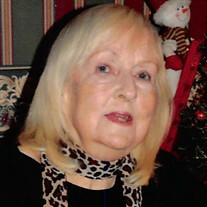 The family of Vivian Joyce Stewart, 86, of Bolivar created this Life Tributes page to make it easy to share your memories. Mrs. Stewart passed away Saturday afternoon at her home in Bolivar. Send flowers to the Stewart's family.